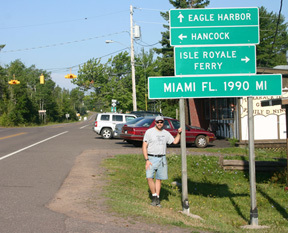 That particular "Miami" sign is also gone now... and originally US 41 went only as far as Naples FL. 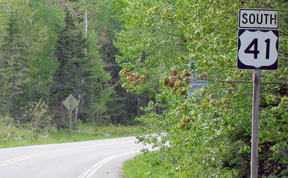 At the time, since the Naples-to-Miami leg runs east/west, that segment was assigned an east/west number: US 94. 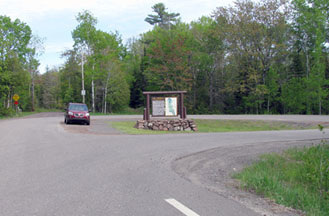 But in 1950, US 41 was extended to Miami, replacing what had been US 94. 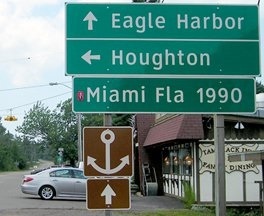 Initially, the entire Naples-to-Miami segment was signed east-west, but currently north-south directional tabs are used everywhere except within Miami/Dade County. More info on the Naples page and the Miami page. 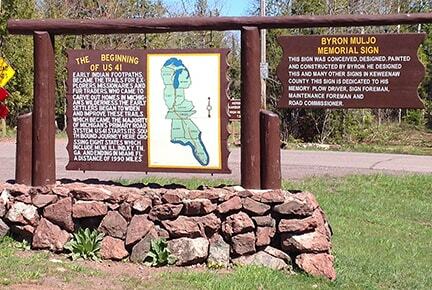 Officially, that is still the terminus of US 41. 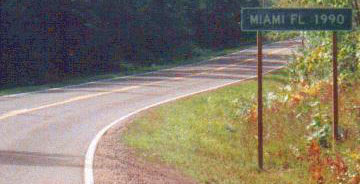 However, for some reason, in 2000 FDoT decided to remove all references to US 41 east of its junction with US 1 in Miami. 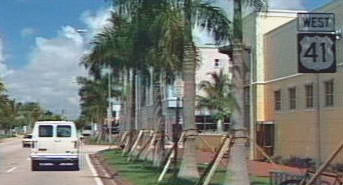 In fact, for several years there were even "End US 41" assemblies posted at Brickell Avenue. 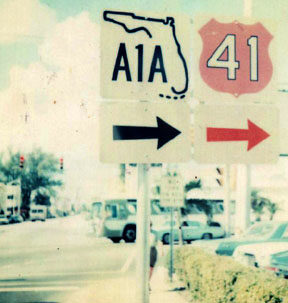 So by all appearances, US 41 was truncated back to its former terminus in downtown Miami. Then in late 2013, AASHTO approved FDoT's request to divert US 1 traffic off Brickell and instead onto I-95. Shortly thereafter, FDoT removed the "End US 41" signage at Brickell. US 41 runs along SW 8th Street through some interesting sections of Miami, including Little Havana, where it is referred to as "Calle Ocho". 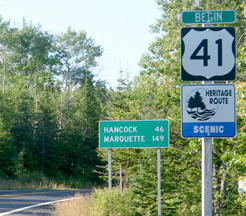 The US 41 designation is still referenced from its junctions with US 441, I-95, and even Brickell. 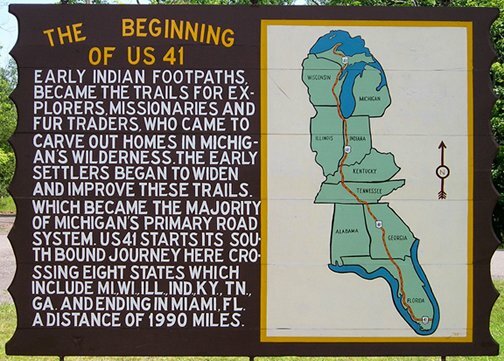 However, drivers following US 41 will be disappointed in the road's general lack of acknowledgement in Miami and environs: as of 2016, the last "East US 41" assembly was posted at 22nd Avenue. For the remaining two miles to I-95 (and 2.5 miles to Brickell) there were no more trailblazers. So now it is unclear where FDoT wants travelers to think US 41 ends. And it is still unclear why they want the designation to officially continue all the way to Miami Beach, but they do not want to signpost its easternmost few miles. last updated Mar. 4, 2017.